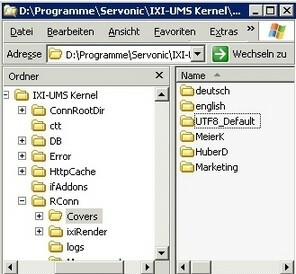 Copy the signature image files to the appropriate message header directory. ·Insert an img custom link in fax.htm (i.e. 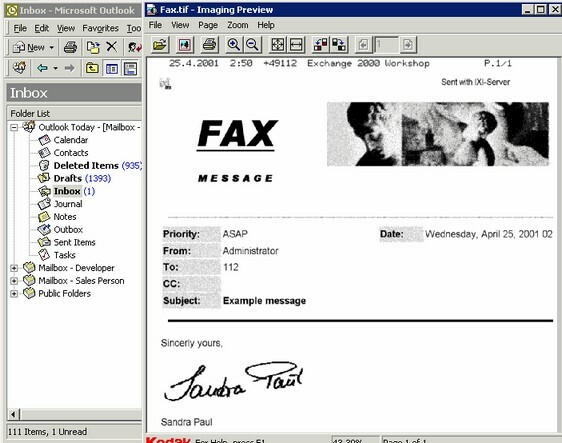 the fax cover page). In order to do this, first you have to insert the signature file by using an ordinary HTML img tag. Secondly, edit the HTML source code and make the img tag a custom tag by replacing it with #img. ·Select "IXI-Properties" and set the message header. ·Now send a test message via Outlook and the signature will be attached automatically.